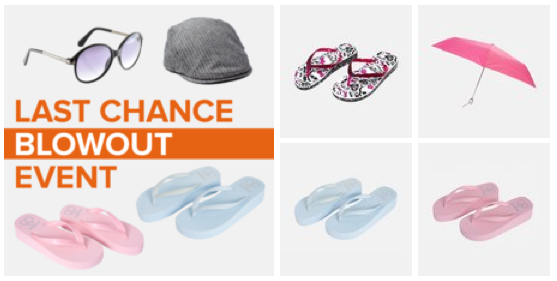 Kenneth Cole, Guess, Monster High & More Summer Clearance Deals = As Low As $2.99 SHIPPED! You are here: Home / Great Deals / Kenneth Cole, Guess, Monster High & More Summer Clearance Deals = As Low As $2.99 SHIPPED! WOW! You know how they always say to shop “out-of-season?” Well, this is why! Right now you can snag some Kenneth Cole, Guess, Monster High & More Summer Clearance Deals with prices starting as low as $2.99 + FREE shipping on select items! They have everything from sandals to flip flops to umbrellas! Great time to stock up on designer accessories! Here are just some of the deals I spotted! 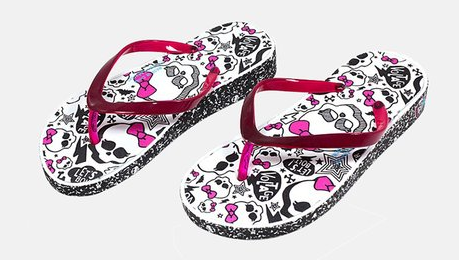 Monster High Flip Flops for $2.99 + FREE shipping! 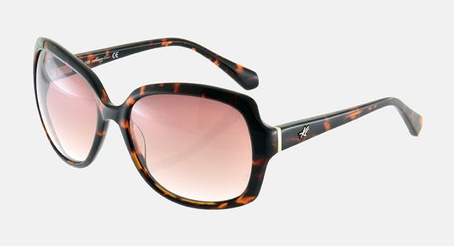 These Kenneth Cole Oversized Sunglasses are only $11.99 + FREE shipping! Hurry, items are selling out FAST!